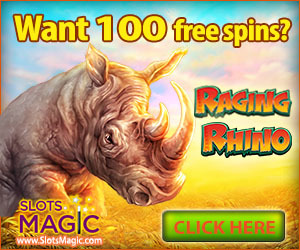 Slots Magic offers some of the best slots available for smartphones and tablet. Whether you prefer classic fruitmachine style slots, HD videoslots or Las Vegas style slotmachines, you will most likely find what you want in Slots Magic’s real money casino app. You can download and play this app on both iOS and Android smarthphones. If the app doesn’t show in your App Store (maybe because of gambling laws that prohibit Google or Apple from showing it) you can just play at their mobile site. 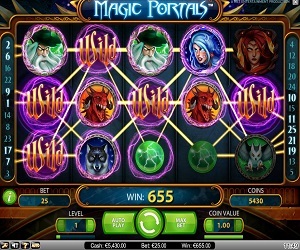 The Slots Magic app offers a very attractive welcome bonus package, with up to €1000 of free money on your first deposit, and another €1500 in various other bonuses. But you don’t even have to make a deposit to recieve a bonus with this app: new registering players receive €10 for free to try out the various casino games in this mobile app. That means you don’t have to place a real bet (no deposit required) but receive €10 to start playing immediately, for real money prizes. So if a slotmachine pays out while you are playing with this free money, you actually receive that money prize for real. 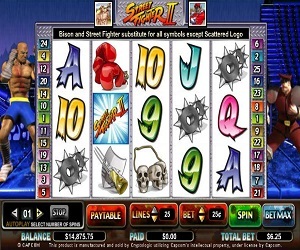 Slotsmagic offers not one but two Bruce Lee slots: Bruce Lee and Bruce Lee: Dragon’s Tale. Both very sweet slots, because hey, we love Bruce Lee. He’s not the only celebrity to have his own slot named after him at this casino: there’s one for The King to: Elvis – The King Lives, and there’s one for the famous Merlin too, in Merlin’s Millions, and then there’s the Kiss slotmachine, named after the well-known glamrock band. Let’s just hope you are old enough who they are. Merry Money is a Robin Hood style slot, Zeus and the Wizard of Oz probably do not require any introduction. Star Trek Red Alert is a fab machine too, as is the Gold Fish, Glitz, Black Knight, and Invaders from the Planet Moolah. All of which are really nice slots. Want more? Batman, Superman, Green Lantern. Streetfighter II slot, Blackbeard, Ninja Master. The list goes on and on. Progressive Jackpots are available too: there’s the Ferris Bueller’s Day off , named after the movie with the same name form the eighties, Superman Jackpots, Good and Evil and Millionaire’s Club III. To name but a few. 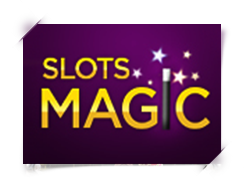 Though Slotmagic’s name might suggest that you can only play slot games, this is not the case at all. Every other type of casino game is included in the app, like Roulette, Poker (and video poker), Blackjack and scratch games. The online casino for desktops offers even more, such as multiple version of Roulette (French, European, American), Pai Gow Poker and Caribbean Poker and several versions of Blackjack, Baccarat and craps.